Hair cut ceremonial of Aqilah Dewi Humairah. 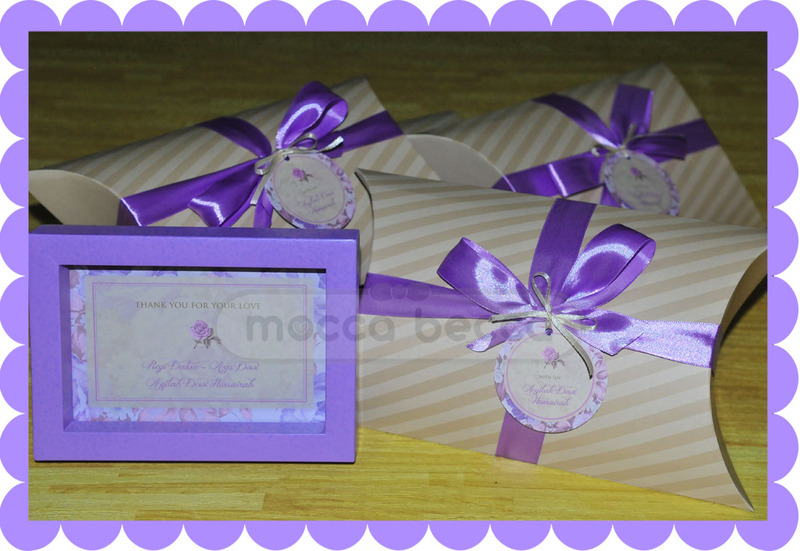 Ordered by Mrs. Ayu Dewi with blossom roses theme in purple. 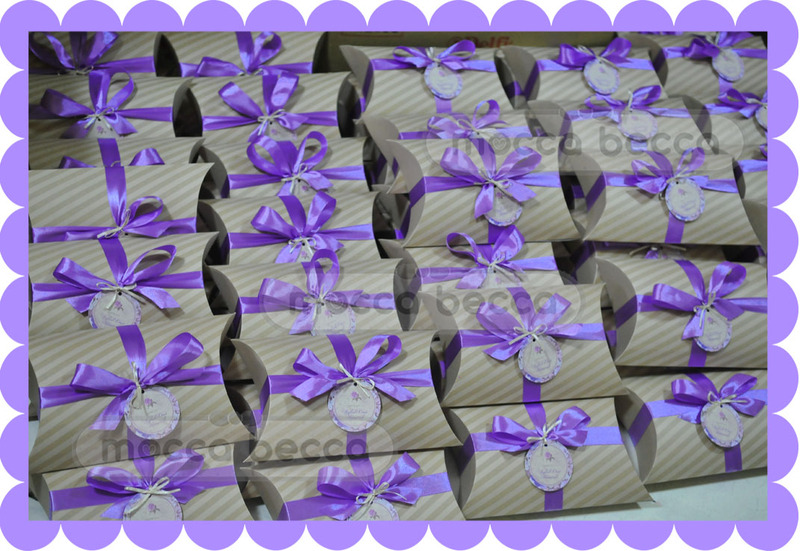 1 wooden frame 4R (purple) in pillow box. 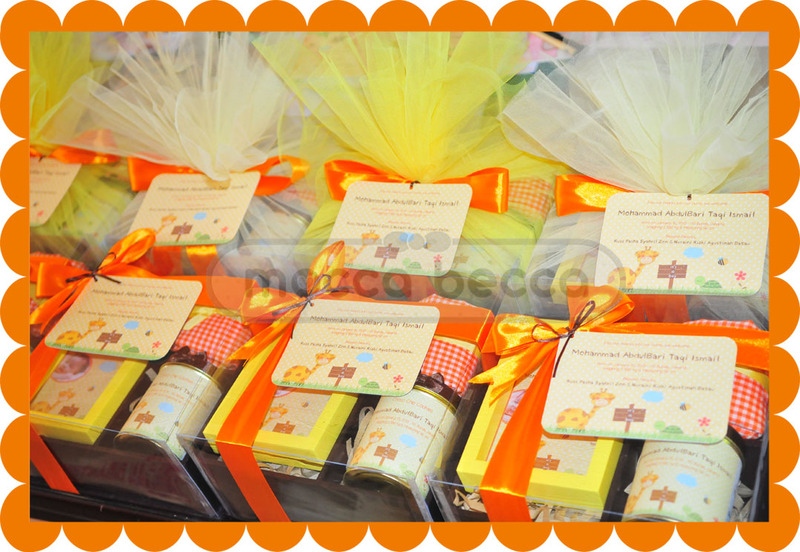 Ordered by mommy Rizky, with girrafe theme in brown-yellow-orange colors. 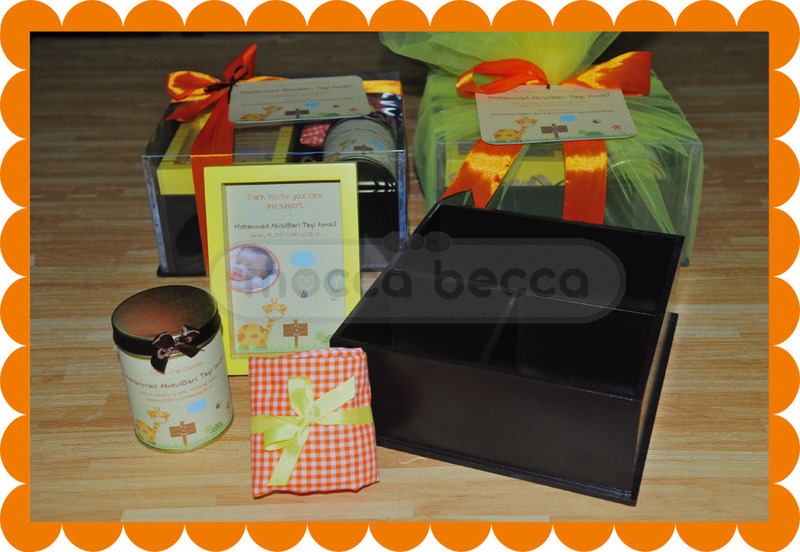 1 brown wooden box + 1 wooden frame 4R + 1 tin can choco chip cookies.